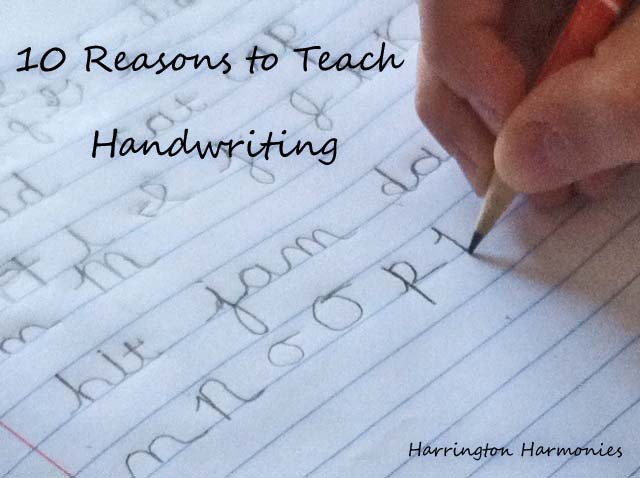 “In this age of computers and spell correct, I still think it’s important for children to be taught handwriting.” 10 Reasons to keep handwriting in your curriculum. Homeschooling Multiple Ages Preschool, elementary, middle school and high school. For a long time I’ve called it Layers and Levels of Learning. That one-room schoolhouse type of learning. But Lasagna Learning describes it much more accurately. The Ultimate List of Easy Slow Cooker Recipes Give me easy. Mix a few ingredients. Make it simply delicious. In the practical world of homeschooling and feeding a crowd on a budget, a long list of ingredients does not make the menu plan. I want to put the slow cooker to work while I take care of other things. Numbers and Patterns Kindergarten: Playing and Learning with Manipulatives “Child’s play” with manipulatives can teach the following important math concepts. This is really all you need to cover for early math (K). 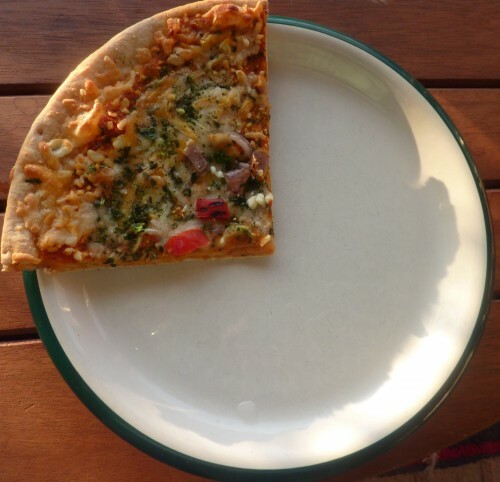 Geometric Shapes and Beginning Fraction We then cut the pizza into halves, thirds, and fourths before serving it. Seeing the different sizes of each fraction made fractions so clear – and delicious! Then, later, making cookies became a lesson in learning shapes! We cut out hexagons and rectangles in the cookie dough after my daughter rolled it out. Year-Round Schooling We are emphatic fans of year-round schooling. Read the many reasons we love school in the summer! Homeschool Organization: Schedules, Plans and Paperwork…Oh My! 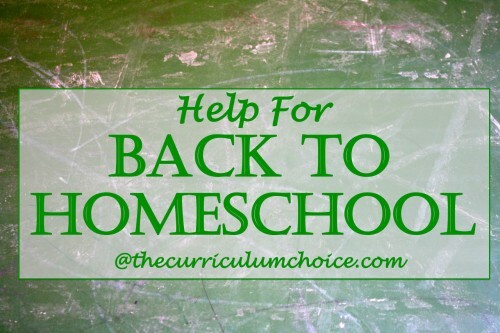 Lists and schedules were one way I calmed my fears as we began homeschooling. I started with a detailed spreadsheet for each week, with time slots in fifteen minute increments…the problem was that instead of the schedule working for me I was a slave to the schedule. I relaxed a little at a time until I found the level of organization that worked for me–enough to keep us on track but allow flexibility. Our Home Schoolroom We organized a former dining room into our school room using things we already owned along with second-hand items and some DIY projects. Mid-Year Homeschool Review How to conduct a mid-year review of your homeschool with free printable forms for each child. 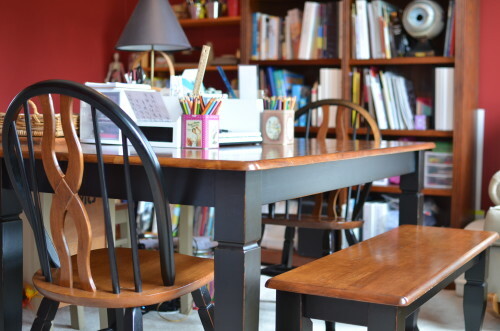 Homeschooling in a Small House How to make the most of your limited homeschool space. 10 Things to Consider When Choosing Curriculum Choosing curriculum can be a daunting task. Keep these ten considerations in mind. 10 Tips for Starting the New School Year Off Right Get your school year off on the right foot by remembering these ten tips! 80% Passing Grade: Learning for Mastery I’ve seen this concept raise eyebrows and meet with disapproval. But is it really crazy? Am I really demanding too much? Long ago some homeschool writer, whose name I forget, gave me this idea and it does make sense. Why are we homeschooling? To teach our children. Obviously, if they do not understand the material well enough to get 80% on a test, they have not learned it. Watch for more in this series at Tea Time with Annie Kate. Resolutions for 2013 Then we had our first day of school today, and I remembered a crucial detail: a day has only 24 hours. Oops! So now I have a theme rather than a resolutions list: With joy, gratitude, and reliance on God, do what needs to be done. Back to School Plans A new year! A new opportunity to begin with a fresh clean slate! It’s like opening the page of a new journal – irresistibly inviting! Be sure to browse the Homeschool Planning Guides at iHomeschool Network. There is so much homeschool experience wrapped up in these posts, including several from our authors here! Interested in more from our authors? We have an Ultimate Guide to Choosing Curriculum, Homeschool Helps, Special Needs Homeschooling, a visit to our homeschools and more here: Review Team Features. We hope you will save this post, pin it, share it. 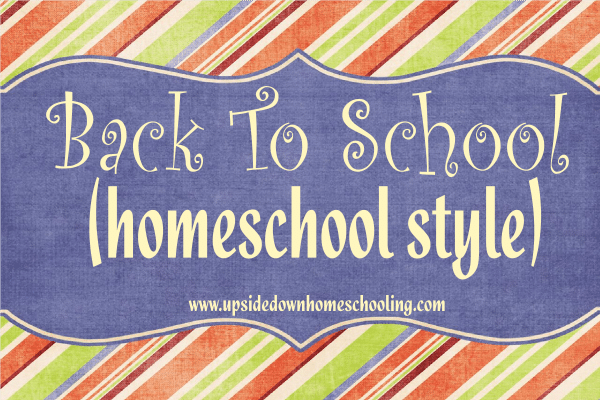 Because all of the above apply year ’round in homeschooling. Wouldn’t you say? How about you – what would you add? ~ Don’t miss any homeschool reviews or encouragement. 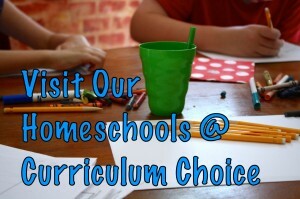 Subscribe to Curriculum Choice today! Enter your email address in the above, right hand corner or subscribe here. 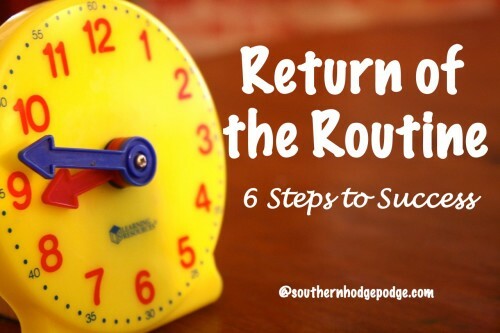 Thanks for posting this…and especially thanks for the link to your Return of the Routine ebook. You’re so right; at some point we just need to rest. We need to do what God gives us to do and just trust him…even while supper’s neglected on the stove due to an urgent need of a different sort. May the Lord bless us all on this journey and give us all what we need to serve him and raise these children he gave us for these precious years. Annie Kate – it’s sometimes so very hard to set aside the things we think we should be doing and truly do what we NEED to be doing. I found that out just recently with sickness over the holidays. I had to set aside my usual thinking on when we were supposed to be back to school, start the planning later. And just rest. Thank you so much for your encouragement and words of blessing! They mean much.